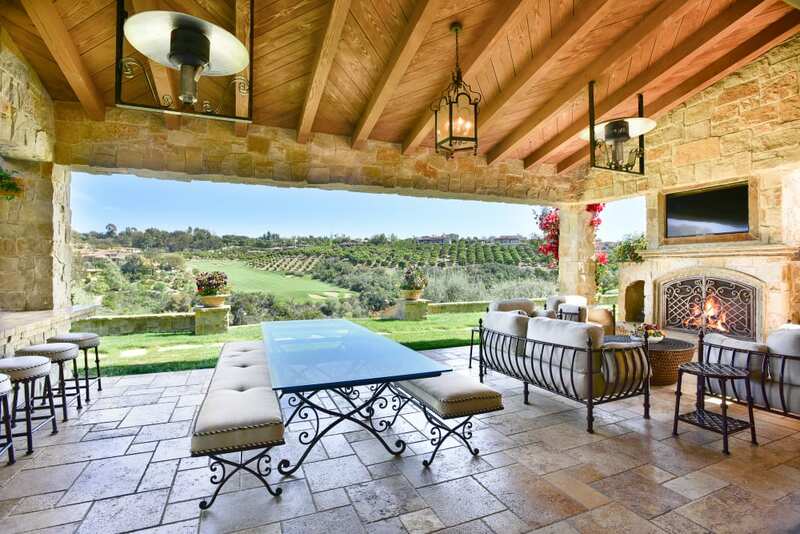 Perched on a unique peninsula overlooking the 15th Fairway of The Bridges at Rancho Santa Fe, this ultra-private, single-level estate emphasizes extraordinary panoramic golf course views in one of the highest-rated and most luxurious guard-gated golf course communities in the USA.
" 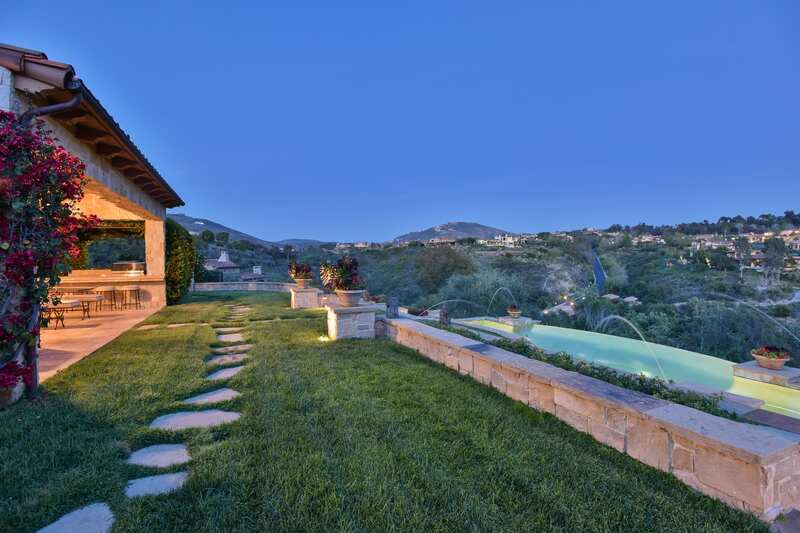 This exceptional home was custom-designed not only to capture breathtaking views from every room, but also to take advantage of the site's unique privacy." oom and game room, theater, formal dining room, wine cellar and office. A covered outdoor loggia leads to the pool whose edge blends seamlessly with the captivating views. A one-bedroom, detached guest-house and 4 1/2 garages complete the landscape. The user-friendly floor plan features 4 ensuite bedrooms, chef's kitchen, accompanying great room and game room, theater, formal dining room, wine cellar and office.